As a result, employers focus their time and money on identifying and trying to fix the obvious causes of poor employee health (smoking, overeating, lack of exercise, etc.) that are driving up costs. Unfortunately, in part, this is an example of missing the forest for the trees. Yes: These unhealthy lifestyle habits must be addressed. But, it’s how, when, and why employers address them that determine the likelihood of success. To create a healthy, high-performance workforce, employers will have to dig deeper to identify and address the many and varied factors that affect their employees and influence their health and wellness. Ultimately, this means that employers will also have to examine the role that workplace culture plays in employees’ overall well-being because health and wellness don't happen in a vacuum. We know that social factors play a significant role in peoples’ well-being. 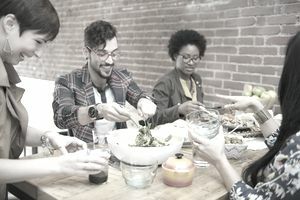 For most employers, creating a culture of health and wellness isn’t just a matter of choosing the right gym program, introducing a dynamite team challenge, or changing the cafeteria menu. It’s a matter of making sure that health and wellness are woven into the cultural fabric of the organization. It’s both about what the organization does and who the organization is — what the organization stands for, what its mission is, and how its approach to caring for its employees is expressed. Making a culture shift to one that supports health and wellness is a significant change, but can deliver measurable benefits quickly. The first thing organizations can do to start the culture shift is to make sure that health and wellness are part of their corporate values and that those values are clearly defined and expressed. This includes both policies and practices and is revealed in everything the organization does, from small to large. Even something as small as whether you have veggie slices or donuts at your next meeting sets the tone and communicates your intent. The second thing is to recognize that each organization is a unique ecosystem in which each individual plays a role and exerts influence, whether consciously or unconsciously, overtly or covertly. Therefore, the value of caring about individuals is important. People need to know that they count and that you care about them as individuals, not simply as programmers, welders, clerks, or teachers. Recognize that health and wellness require effort from both the grassroots and the executive suite. Health and wellness thrive as a team sport, in which everyone at every level has a role to play. Employees talk about health and wellness as a critical personal and organizational imperative in a wellness supporting culture. People at the top lead and commit to health and wellness, such that wellness activities receive support from the top levels of management, who also model the values. Create conditions that allow your employees to shine. Employers should do whatever it takes to make the environment around the office attractive for wellness. Employers need to make the office a place employees want to work because they end each day with a feeling of accomplishment, a feeling that their efforts count, and that they are valued. This means fostering employees’ sense of autonomy, mastery, control, and meaning. Realizing that your employees are your most important asset can make all the difference. Create a healthy environment and your team can flourish. Reach people where they are. Don’t force-feed pre-packaged wellness solutions to employees you care about. Meet your employees where they are at and demonstrate that you care by helping them take steps to achieve the goals that are important to them. By helping employees achieve what’s important to them, you also help them build competency and orient them for success. You help them prove to themselves that positive change is possible. Paying for a gym membership or a fitness band is great for people who are already committed to working out, but it will never reach people who are not committed or easily motivated to exercise. Unhealthy behaviors may be coping responses to issues that aren’t directly related to what you see as the problem. To successfully promote workforce wellness and enjoy its benefits, care about employees, and support and help them achieve what counts for them. You then will have a far greater likelihood of getting them onboard for other changes that can help them and your bottom line. Taking cultural change seriously, making the workplace an environment that supports people’s initiative, creativity, responsibility, and meaning; and helping employees address issues with which they struggle are the real building blocks to creating a workplace that reflects great health and wellness that is also self-sustaining.